This is a collection designed to satisfy our inner magpies. Each pot is made up of three separate but coordinating shades baked together in a single pan to produce a unique marbled effect that certainly catches the eye. All that glitters is not gold, according to Mac. It is also ‘smutty green’, ‘blue flame’ and 21 other dazzling shades that make up the new marble-effect Mineralize Eye Shadow collection. When the eye shadows are applied, the effect is a sheer, lightweight look with a velvety finish. This is a limited edition collection only, so get in there quickly! 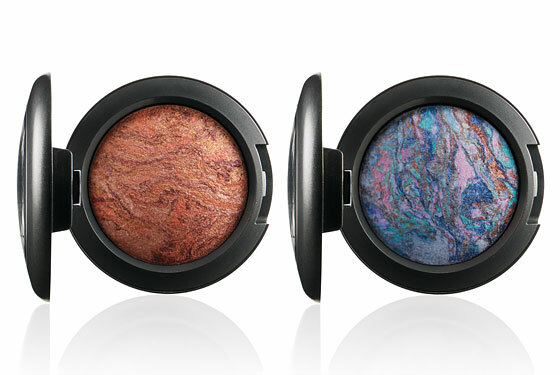 You can buy Mac Mineralize Eye Shadow for £16.00, so head over to Selfridges and snap one up before they disappear.